Only a few sections remained to be stacked on the Auburn replacement tower as of 12/18/18. 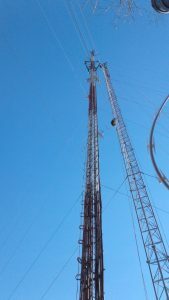 If all goes as planned, we’ll be transmitting from the new tower by the second week of January — if not sooner. 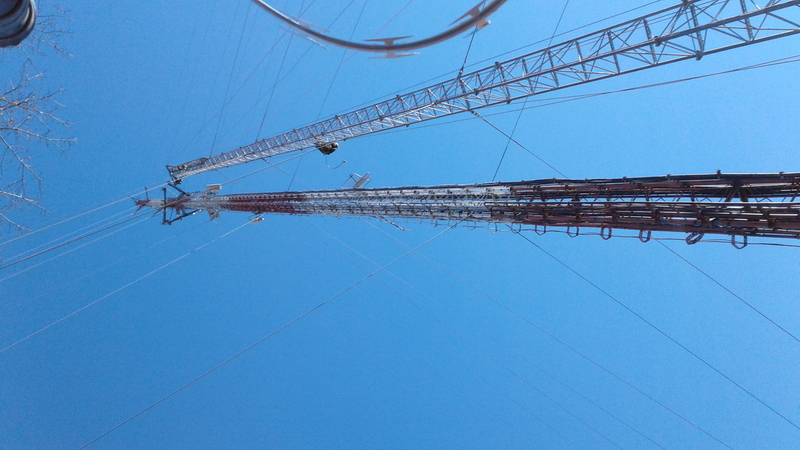 in Auburn is progressing nicely: they’re stackin’ it high so the signals can fly. While those guys are going up… up… up… I’ve been taking care of a few things at other locations. One of the items checked off the list today was a little maintenance call to trim the transmit frequency on one of the transmitters on a paging system which I do the engineering work on. “Close ain’t close enough” in my book. I like for carrier frequencies, etc. to be really tight in terms of frequency tolerance, etc. in order to prevent unnecessary performance issues. 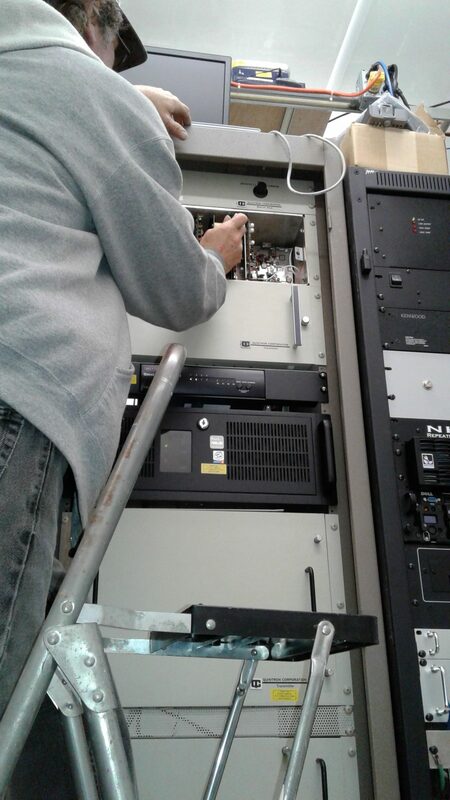 Doing a slight carrier frequency touch-up on one of the Quintron paging transmitter systems.